Arizona is the most dangerous state in the country for pedestrians. For residents, understanding the laws that impact drivers and pedestrians, as well as how fault is determined and what damages can be recovered, is paramount. In Arizona, where the skies are blue and the natural scenery is awe inspiring, pedestrians are plentiful. Unfortunately, Arizona has the highest rate of pedestrian deaths in the nation and is widely recognized as one of the most dangerous states to travel on foot. This article explores some of the causes of pedestrian accidents, the laws impacting pedestrians in Arizona, and the damages that might be available in a pedestrian accident. In Arizona, the term “pedestrian” doesn’t just refer to people walking on foot. It also refers to runners and people in manual or motorized wheelchairs. In 2017 (the most recent year for which the data is available), 226 pedestrians were killed in Arizona. At a rate of 1.61 pedestrian deaths per 100,000 people, Arizona’s pedestrian-fatality rate is more than double the national average of 0.8 per 100,000. Interestingly, almost 3 times as many male pedestrians were killed in Arizona in 2017 than female pedestrians. An additional 1,510 pedestrians suffered non-fatal injuries in 2017. Enjuris tip: The two most likely victims of hit-and-run accidents are pedestrians and cyclists. From 2006 to 2016, 19.5% of all pedestrian fatalities were the result of hit-and-run accidents. The vast majority of pedestrian accidents occurred in urban areas (with most occurring in Maricopa County and the Phoenix metropolitan area). Finally, weather conditions and time of day don’t appear to play much of a factor in pedestrian accidents in Arizona, as the vast majority of injuries occurred during the day when light conditions were clear. As mentioned above, all drivers have a legal duty to drive with reasonable care and to obey all traffic laws. If a driver breaches that duty and the breach causes an accident, the driver can be sued for negligence. 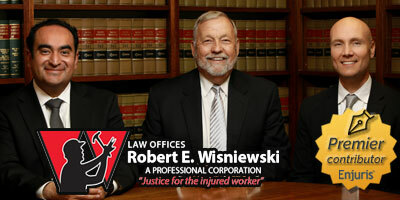 Enjuris tip: Read more about negligence in Arizona personal injury lawsuits. Pedestrians also have a duty to exercise reasonable care while navigating Arizona’s roads. Just like a driver, if a pedestrian breaches their duty of care (for example, by running out into the middle of the road), the pedestrian can be sued for negligence. In some cases, the driver and the pedestrian might both be at fault for an accident. What happens then? John is driving his truck along the road and texting his wife. At the same time, Susan starts to cross the road, despite an absence of a crosswalk. Because John is texting, he doesn’t see Susan and he hits her with his truck. Susan sues John and the court determines that John was 80% at fault for the accident, while Susan was 20% at fault. In the above scenario, Susan would only be able to recover 80% of her damages due to Arizona’s pure comparative fault laws. Pedestrians can be compensated for the economic damages (medical expenses and lost wages) caused by the accident, as well as the non-economic damages (pain and suffering). In addition, a pedestrian might be able to recover punitive damages if the driver’s actions were intentional or particularly outrageous. Drivers can also recover economic damages, non-economic damages, and punitive damages if they crashed trying to avoid a pedestrian, which resulted in serious injury or damage. In most cases, given the nature of pedestrian-motor vehicle collisions, the driver will recover property damage. To avoid pedestrian accidents, both drivers and pedestrians should follow all traffic laws and practice caution when navigating high-risk areas (such as school zones, neighborhoods and busy urban areas). In addition, although Arizona law doesn’t require it, pedestrians should consider wearing bright colors and reflective gear at night. Enjuris tip: Take a look at the Arizona Department of Transportation guide: Sharing the Road with Pedestrians to learn more tips for avoiding pedestrian accidents. In the hopes of reducing the amount of pedestrian accidents in Arizona, the Governor’s Office of Highway Safety recently accepted a $793,250 grant from the National Highway Traffic Safety Administration for pedestrian and bicyclist law enforcement and education efforts. If you’re involved in a pedestrian accident (either as the pedestrian or the driver), it’s a good idea to contact an attorney to ensure you recover all of the damages available to you. Use our free online directory to find an Arizona attorney where you live.